of Edmund GarmanExterior view of Linn Benton Tractor in Tangent, Ore.
of Edmund Garman One of the large Kubota tractors sold at Linn Benton Tractor at its main location in Tangent, Ore.
Don and Vivian Kropf started Linn Benton Tractor in Tangent, Ore., steadily growing the business for 26 years to the point that they were able to establish a second location in Silverton. 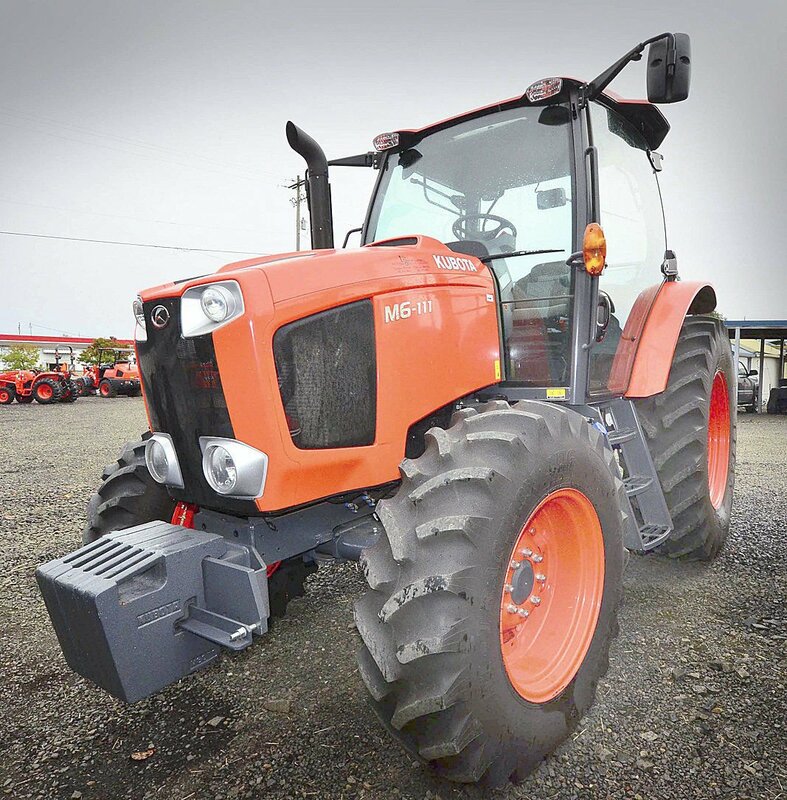 A multi-line dealership, Linn Benton Tractor highlights the Kubota tractors, implements, accessories and other equipment, both new and used, but also features other high-quality lines such as Krone, Land Pride, Great Plains, Vermeer, Hustler, Walker Mowers, Trioliet, Echo and MacDon. They stay on the cutting edge, said Suzy Worthington, assistant to Don Kropf. Avant’s plant in Finland has manufactured more than 45,000 loaders, she said. Linn Benton Tractor’s sales team sells implements, construction equipment, compact utility tractors, farm tractors, landscape rakes, chippers, excavators, riding lawn mowers and a wide selection of other equipment. “We have 80-plus years of ag and outdoor power sales experience,” Worthington said. The Kubota line of ag equipment is also well-represented at Linn Benton Tractor’s two stores. Sales leaders include the newer M6-series of tractors — the M6-101, M6-111, M6-131 and M6-141 — which feature clean-diesel engines that consistently meet Environmental Protection Agency low-emission standards. The series also features high crop clearance, automatic four-wheel-drive and high-capacity 3-point hitches. Linn Benton Tractor employs 50-plus professionals between the two locations, and serves the entire state of Oregon.